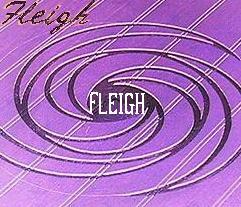 FLEIGH is a portal to all the information, fun, business opportunities and shopping you could need or want. FLEIGH (and all FLEIGH sites) are charter members of IEA (Internet Ethics Association) and adhere to the highest standards. We are dedicated to providing you with amazing content, opportunities, and Easy secure shopping. This is our Logo. We hope you see it often. 2003 has been spent building the FLEIGH Network. Most of our sites are not live at this time, while we merge and rebuild. Check this site(opens in new window), FLEIGH Services for updates. FLEIGH Finds actually has a couple of sites hidden in it (no links). These will be rebuilt on some of my domains: FLEIGH.com, FLEIGH.net, 4Winz.com, RustyPump.com, CasinoBelle.com, BidWin.net, and many more. We have sold, closed, or are moving domains: BigNutritionSale.com, BigToolPlus.com, eWebSubmit.com, eWebTraffic.com, eWebPromote.com, PlayYourLuck.com, and more. None of our sites (FLEIGH Network) will ever sell, rent nor give your information to anyone without your consent. Most information is not kept at all. We have had online presence since 1996. We have had many small websites which formed a patchwork quilt across many areas of interest. Most of our sites were on free servers ( like homestead), these theme based sites where all non commercial. Our first "commercial" website was live in 1998. From then to 2001 our little quilt became our Multi-World Wide Web. With a couple of portal type sites linking the other sites. In 2001, we started going "commercial" to some small degree. After Sept 11th severely reducied our fledgling e-commerce sites income, We began to concentrate our efforts on non-shipped goods and start charging for some of our previous free services. We chose to go wholesale on everything. Late in 2002, a vehicle crashed through the building were our servers were housed. Our new network suffered a catastrophic loss of servers including the back up server. Our 5 commercial domains, custumer data base, all scripts and programs and our network were destroyed. I personally vowed to rebuild. To Keep Updated, Join our one of our mailing lists or newsletters.